AWAY from television screens and crystal balls of analysts, there is a slow-moving change under way in Pakistan that may impact civil-military relations more than the person to be appointed as the next COAS. In focusing on the civ-mil balancing scales, we are overlooking how the fulcrum itself is changing. The lever between the two is the logic of the state itself, and it seems to be evolving. For many, the stillborn dharna was a barometer. I’d like to suggest another, albeit outlandish one — the laws on domestic violence. It is not a coincidence that the state is negotiating Fata reforms and direct governance in the tribal areas at the same moment that it is making laws to address violence against women in the home. Both were previously no-go areas in which the state earlier had a limited presence; it was content to let them be as fiefdoms of local power holders. The state is stepping into all areas left to tribal laws and traditional elites before. It has intervened in violent verdicts of jirgas and panchayats by arresting those who participated, for instance in swara/ vani cases in both KP and Punjab. In Sindh, waderas have been jailed for crimes against bonded labourers, previously considered their property. 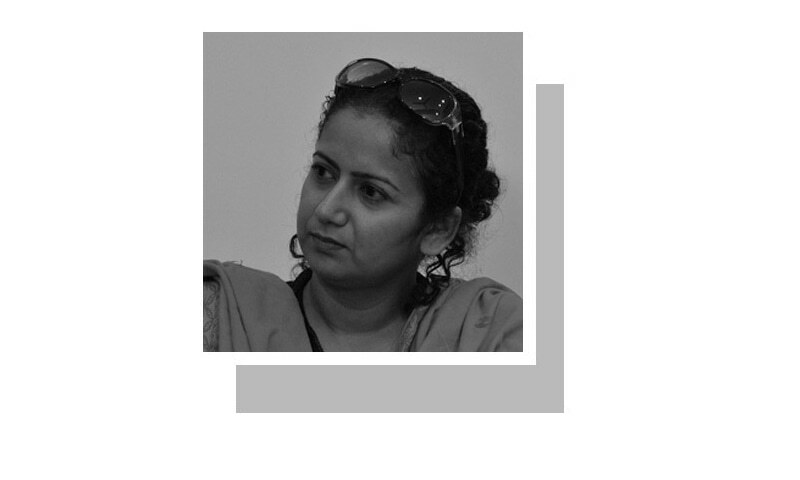 In some instances, it has pre-empted ‘honour’ killings and registered itself as the aggrieved party where women were murdered by their male family members, a practice earlier seen as their ‘cultural right’. The state’s competency and capacity to see this through is a secondary matter. What is important is the structural shift these may be indicating: the state is attempting to exert a monopoly on legitimate violence. There will not be a historic moment heralding rivers gushing with the milk of democracy. It seems to be doing so in a two-fold manner: by delegitimising violence that was previously acceptable, like the impunity where domestic violence is concerned, and by positioning its own security apparatus as the sole arbiter of violence, eg through operations against the Tehreek-i-Taliban Pakistan (TTP), or disbanding lashkars which it earlier enabled to fight the Taliban or cracking down on groups that previously had the autonomy to use force, such as criminal gangs in the riverine areas. The contentious part of this argument is when it is extended to militant groups. Here the rollout is uneven, leading to the criticism of the ‘good Taliban/ bad Taliban policy’ and to doubts whether proxies can be called ‘former’ or ‘current’. While scores of Lashkar-i-Jhangvi (LJ) cadres have been killed, others of Sipah-i-Sahaba roam freely in their Ahle Sunnat Wal Jamaat incarnation and can hold rallies in Islamabad under the Difa-i-Pakistan Council banner. While some point to intelligence collaboration that got key TTP leaders killed by US drones and largely successful army operations in most of Fata, others point to historical reasons of distrust and suspicions about keeping militants as a reserve force. Some point out that the operational capacity of those previously patronised in both Balochistan and Fata has been restricted or that after army operations, militants have been killed or have escaped to Afghanistan. Others demand instant unambiguous reversals and have upped the ante from crackdowns on the Swat Taliban to the TTP to LJ to one on Lashkar-e-Taiba as the litmus test. The state consolidation is being experienced in many ways — as an increasingly violent state in Balochistan, as a clampdown on unregulated space, for instance, through demands of audits of NGOs (and also FWO) or geo-tagging madressahs, and as a state extending its writ. Analytic tropes are not responsive to the dual realities of the military fighting ground battles on the one hand, and on the other, attempting to muscle its way into the rational-legal framework needed by modern states, via laws such as the AACPR, POPA, military courts and apex committees. This shift shows both, an increasing dependency on civil-endorsed legitimacy, as well as contraction of space for the government. Politicians hampered by their self-serving interests balance on quicksand by using what James Scott called weapons of the weak, such as gossip, feigned ignorance and passive-aggressive behaviour, for instance, foot-dragging; and instead of contesting the laws, ignoring them until they lapse. In the Pervaiz Rashid episode, the government let go of one of its better leaders, but we’ve been here before. In the brinkmanship that characterised the Zardari presidency, we saw the circus around the Kerry-Lugar bill, the memogate scandal, the summoning of the then DG ISI by parliament, and that moment five years ago when the then prime minister Yousuf Raza Gilani stood on the floor of parliament in front of live cameras and demanded military subservience, declaring that ‘a state within a state’ was not acceptable. But the democratic transition changed things. And 58-2 (b) or not ‘to be’ is no longer the question. This is set against the broader canvas of state evolution, the culminating logic of the nation-state. If the state is attempting exclusive control over use of violence, whoever within the state will wield it will become increasingly contested, as already evident in the issue of who should carry out anti-terrorism operations in Punjab, CPEC security, Rangers demanding powers across Sindh, even suggesting their own police stations. If the nation-state impetus in monopolising use of force is playing out, it will steer the civil-military dialectic. Yet interruptions such as military coups, major terrorist attacks and stand-offs with India don’t just stall but also undo it, showing that it doesn’t follow a set sequence. Factoring out coups has allowed this current play-out. It comes down to the question of personal indicators, of what one thinks change should look like, whether one idealises it as linear, consistent and self-evident progress or accepts it as a contested, tense and contradictory process. Here is what it won’t be though: there will not be a historic catalytic moment heralding rivers gushing with the milk of democracy and honey of good governance under shady trees of pluralism and harmony, with soldiers contritely trudging back to their budget-deflated barracks while elected representatives earnestly go about erasing inequalities and poverty and safeguarding human rights. That isn’t how it worked in any transition anywhere in the world. But that doesn’t mean we dismiss the entire project and sulk in defeat like we’ve been doing since the Battle of Plassey. let democracy take roots, slowly all ills will be removed. A highly valuable analysis. Here the author has identified and discussed a few important issues. I am sure, everyone would identify their boundaries and understand their responsibilities towards the development of Pakistan. A very difficult article to comprehend :/ need to write in a simpler manner. Your article presents rare sanity. Indeed, we need to stop thinking in terms of black and white. Any simplistic judgement shall lead towards wrong conclusions. I expect from you an analysis of culture in Pakistan. Culture has its own story besides politics, economy or Civ-Mil relations etc.